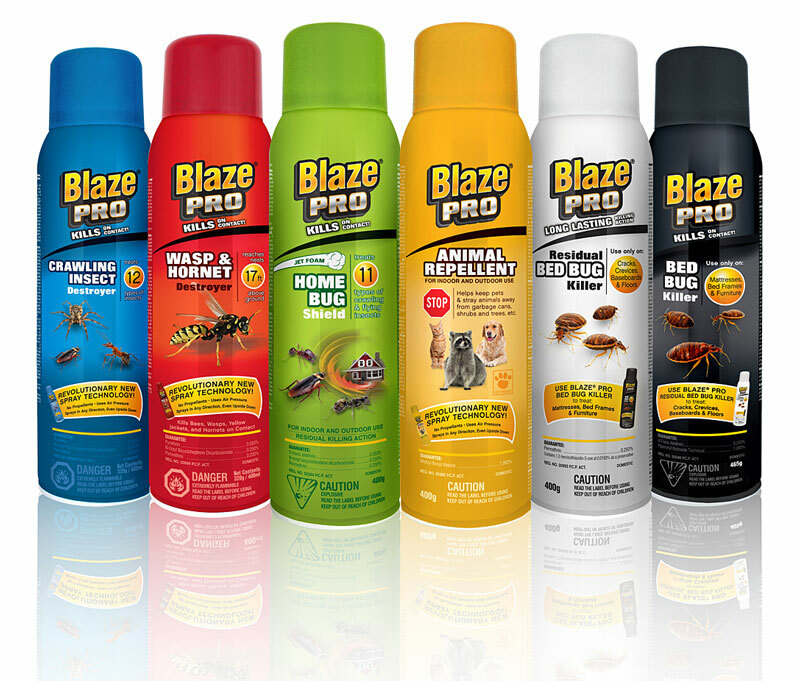 Why Choose Blaze & Blaze Pro? Our insect control products are proudly made in Canada and are specially formulated to treat insect problems quickly and effectively. • For infestations of crawling and flying insects. Our formulas kill a variety of insects including: spiders, snow bugs, earwigs, cockroaches, crickets, ants, fleas, carpet beetles, brown dog ticks, cluster flies, house flies, silverfish, bed bugs and many more!